The published results from our interdisciplinary work are now online. Led by Dr. Adam Sharples at RISES-LJMU, the study focuses on whether muscle tissue retains a ‘memory’ of inflammatory periods. Experimental tissue samples, pictured left, are exposed to a cytokine involved in inflammation (TNF-α) at different times and compared to the growth of the skeletal muscle myoblast (traced via myoD, a marker for the fusion of muscle cells to form muscle i.e. differentiation). 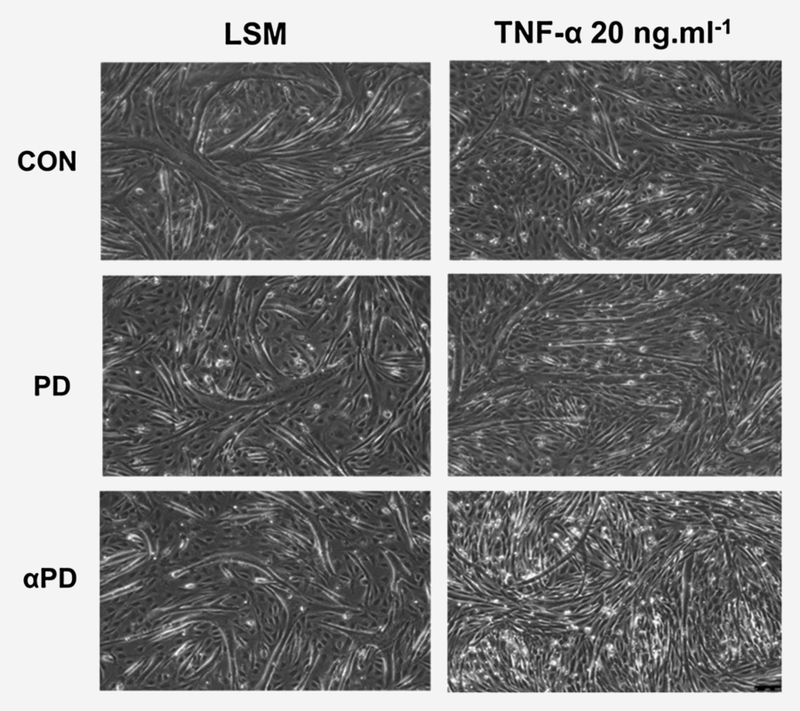 We demonstrate for the first time that myoblasts that have previously received a dose of TNF-α will typically have reduced morphological and biochemical differentiation upon a subsequent administration of TNF-α. In other words, skeletal muscle tissue that has once been inflamed will thenceforth show less and less growth with each subsequent inflammatory episode, basically leading to muscle wasting. Part of the data analysis was performed with my bespoke MethylCal program, designed to aid the analysis of such experiments in epigenetics. Specifically, MethylCal determines the calibration solution between the known concentration of methylated DNA in standard laboratory samples and several observed properties, and then applies this calibration to the experimental DNA samples, enabling us to trace the level of gene expression. Examining the varying methylation concentrations of experimental samples exposed to different conditions therefore allows us to determine the important factors affecting gene expression. The article is now available in Biogerontology, or you can download the PDF. The next step in the project is to repeat the experiments using different markers of muscle differentiation. A comparison of all the different available markers would be very interesting for verifying our conclusions.